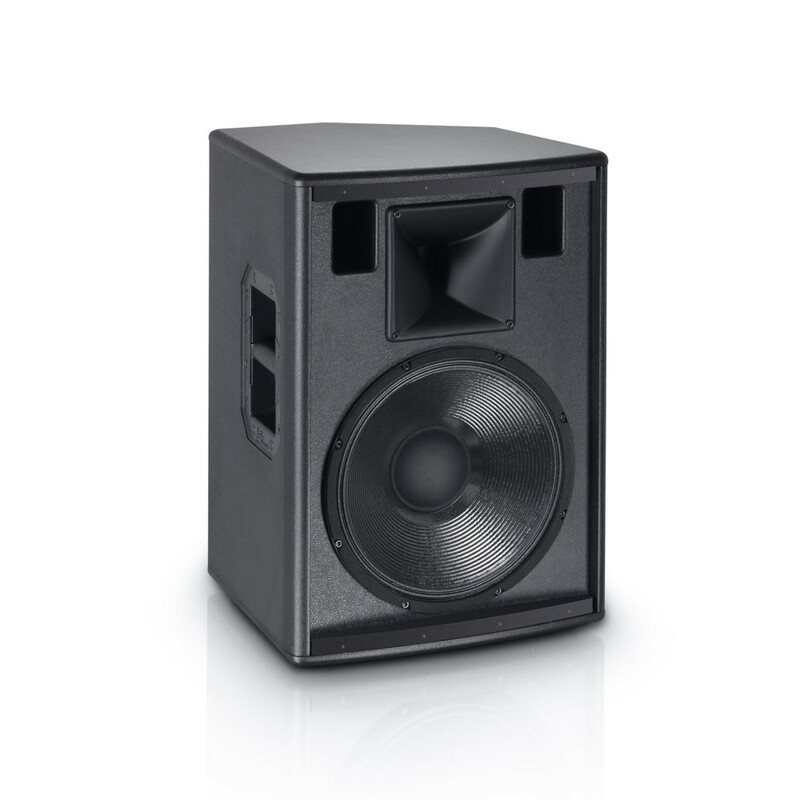 With its 12" custom woofer and 1" Celestion compression driver complement the GT 12 A active fullrange loudspeaker delivers high definition audio with a peak SPL of 122 dB, 60 Hz – 19 kHz frequency response and 90° x 60° dispersion. 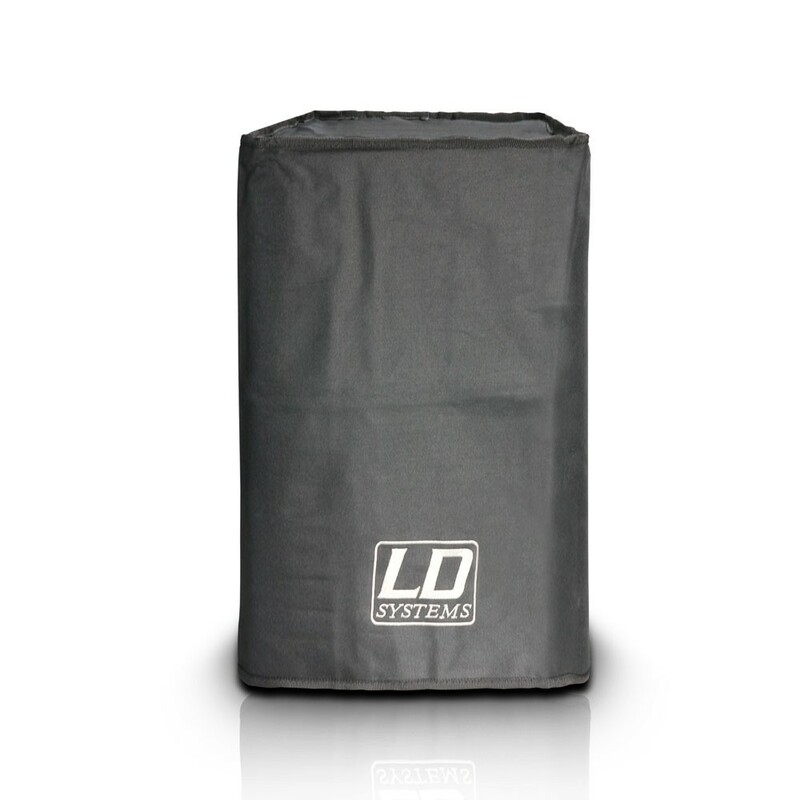 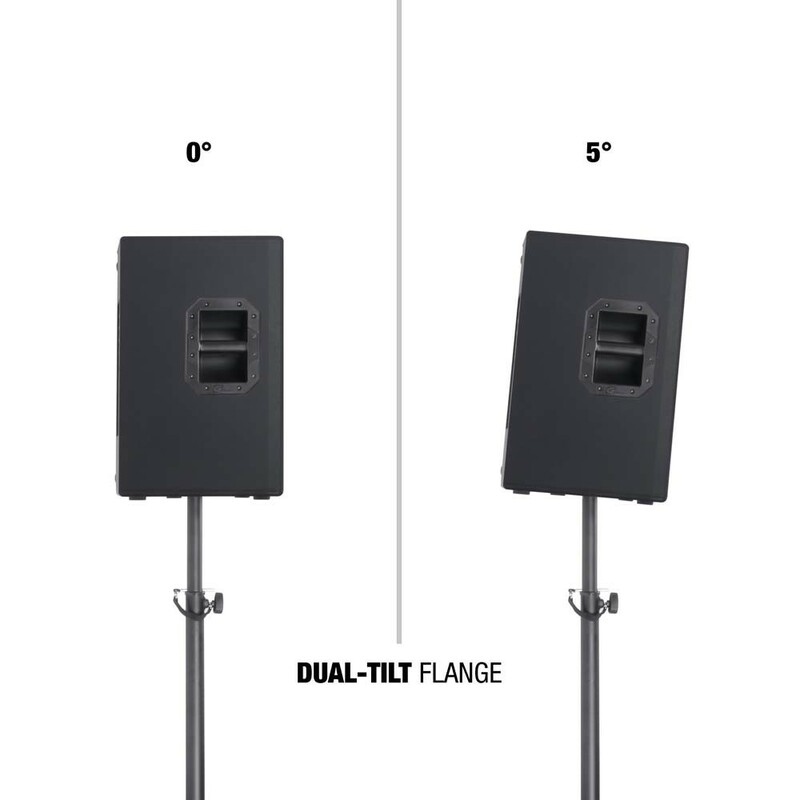 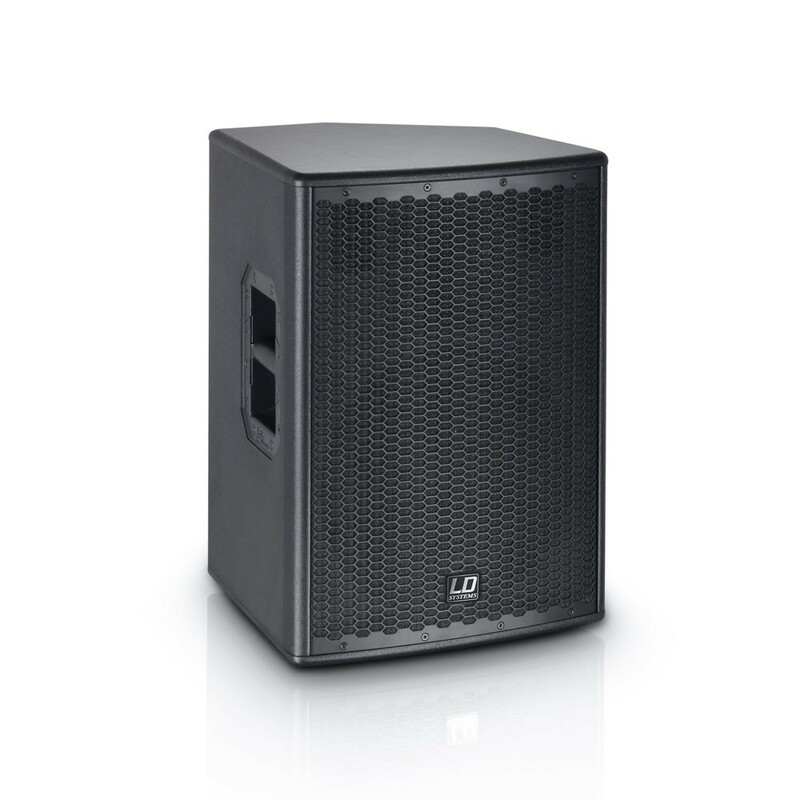 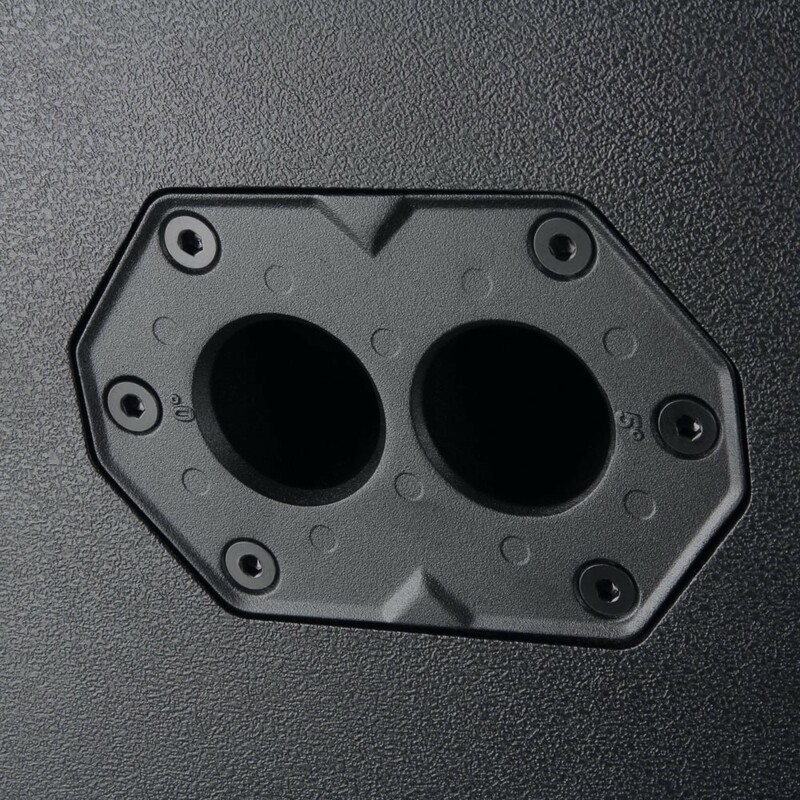 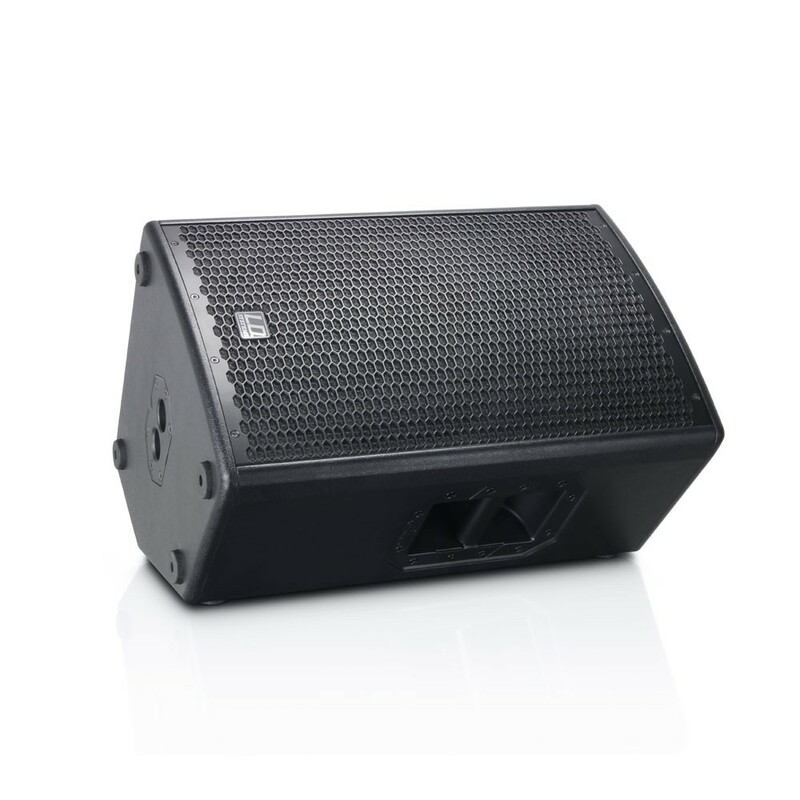 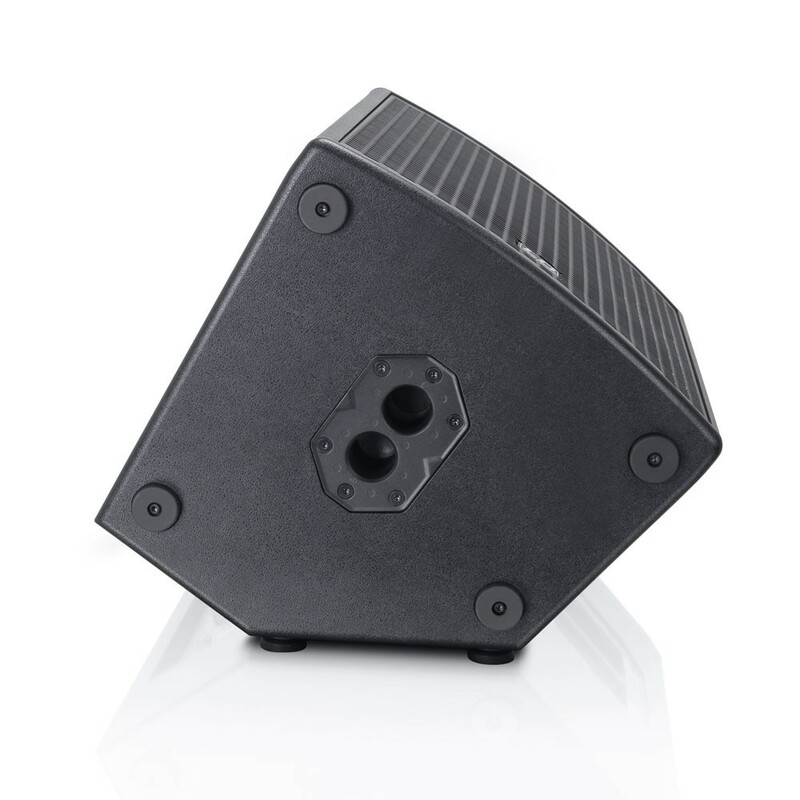 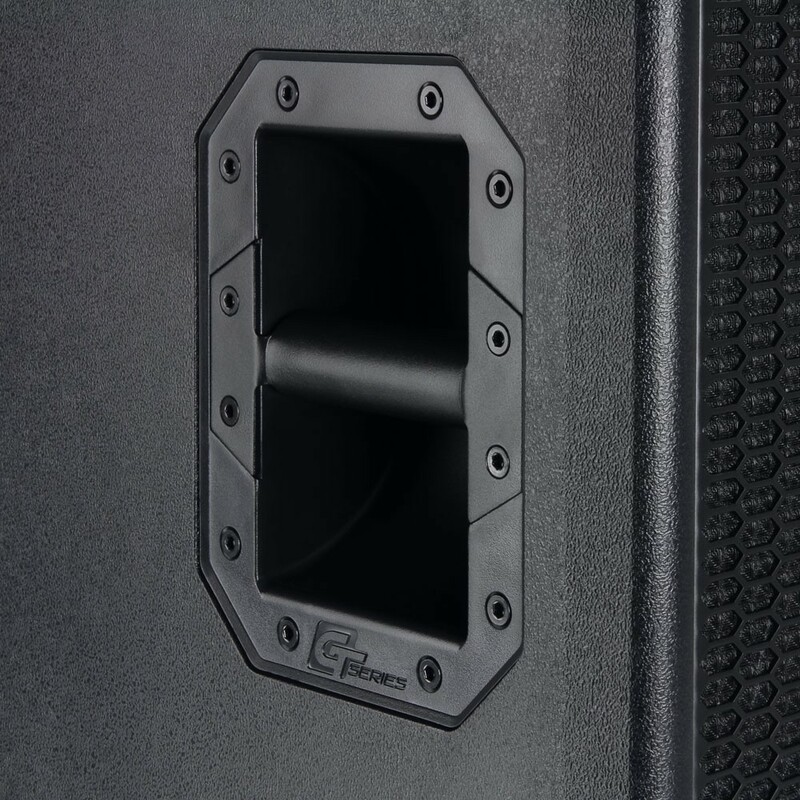 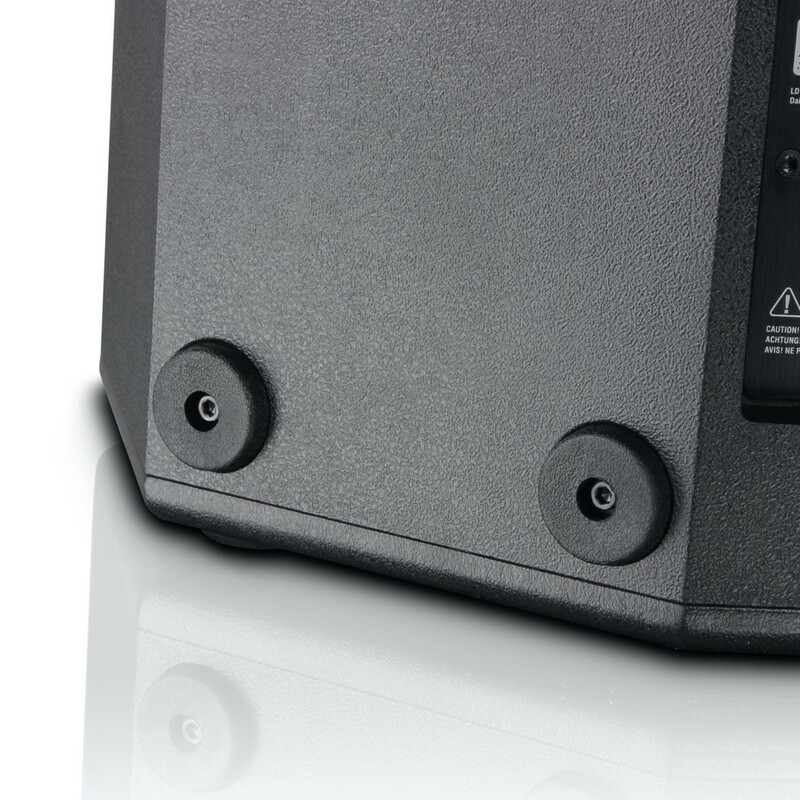 Covered in tough, textured Dura-Vinyl for protection and long-lasting appearance the rugged 15mm MDF bass reflex enclosure integrates a 54° monitor angle, honeycomb pattern steel grille and dual tilt pole mount. 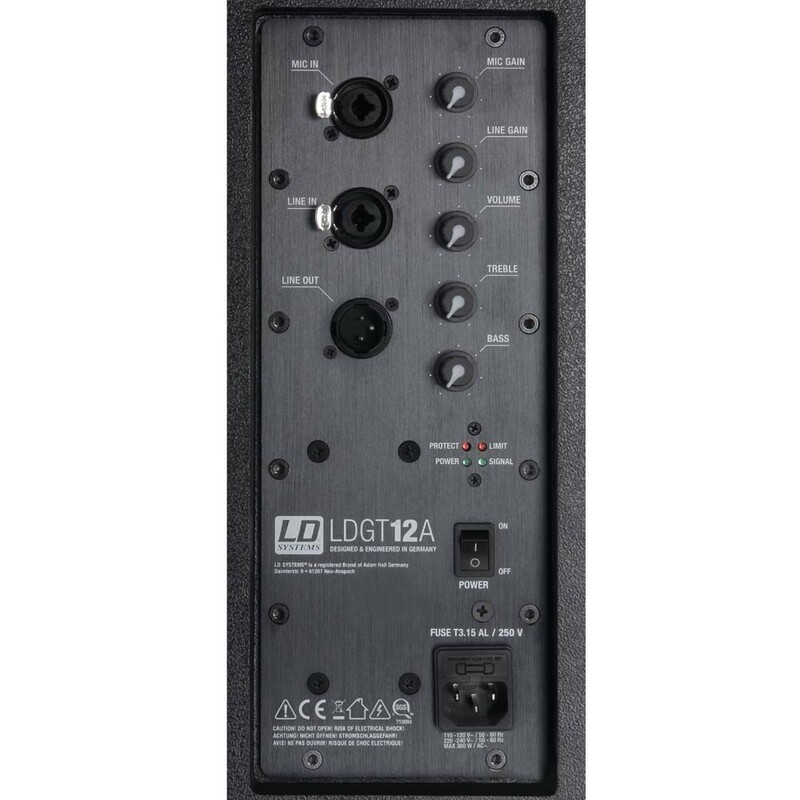 Providing outstanding value, the GT 12 A is powered by a built-in Class D digital amplifier with highly efficient SMPS technology and 1,000 watts peak output. 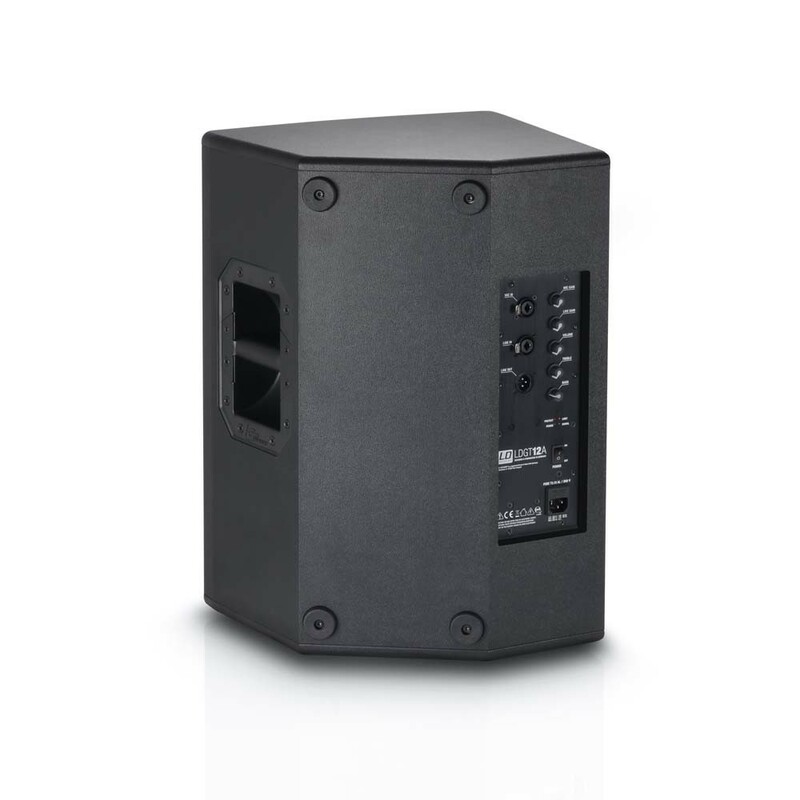 It features XLR and 6.3 mm connectors for line and microphone input, a 2-band EQ and overcurrent and overvoltage protection for reliable operation.